Definitely an adult book. I'm reading along peacefully then *bam,* a scene with a tad too much description in it. Despite these few scenes and the frequent swearing the story was really good. I loved the main character, which is surprising as she is a designer shoe addict who cares only for herself. But then again, how would you feel if you just woke up from the dead and found out that nearly every vamp out there wants you destroyed? I'd be annoyed and confused too. Especially if I discovered I can walk into churches, look and touch crosses, and smell garlic without getting harmed. 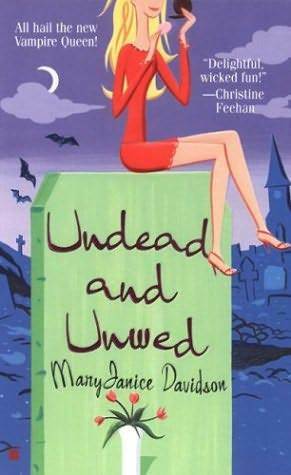 While the book is definitely "R-rated," I would recommend it to the adult vampire-loving crowd and might read more of the series later on.